It has been twenty years since Lucie Bowen left the islands. Twenty years ago, the May Day Quake set loose catastrophic waves along the west coast, from Alaska to California, shattering thousands of lives. Twenty years ago, Lucie’s father disappeared in an explosion at the Marrow Island oil refinery, a tragedy that destroyed the island’s ecosystem and sent Lucie and her mother to the mainland to start anew. Twenty years ago, Lucie and her best friend, Katie, were just Puget Sound children, tucked up under their desks, hovering under mylar sheets, hoping to survive. Now, Katie writes with strange and miraculous news. Marrow Island is no longer uninhabitable, no longer abandoned. She is part of a community, a mysterious Colony, that has, somehow, conjured life again from Marrow’s soil. Lucie returns. Her journalist instincts tell her there’s more to the Colony and their charismatic leader—a former nun with an all-consuming plan—than its members want her to know. The island’s astonishing rebirth seems to have come at great cost—perhaps to the colonists themselves. As she uncovers their secrets, will Lucie endanger more than their mission? What price will she pay for the truth? ALEXIS M. SMITH was born and raised in the Pacific Northwest. She attended Mount Holyoke College, Portland State University, and Goddard College. Her debut novel, Glaciers, was a finalist for the Ken Kesey Award and a selection for World Book Night 2013. She lives in Portland, Oregon. One of Elle's "19 Summer Books That Everyone Will Be Talking About"
One of BookRiot's "Most Anticipated Reads of 2016"
One of Refinery29's "Best Books of 2016 So Far"
"Smith's excellent command of language gives life to arresting characters and their creepy surroundings, keeping the suspense in this dark environmental thriller running high. "—Elle, "19 Summer Books That Everyone Will Be Talking About"
"Marrow Island is ambitious and provocative. This eloquent and soft-spoken novel explodes as it confronts eco-terrorism, natural disasters, and radical Catholicism...This spellbinding novel takes unexpected turns as it races to its final scene. This book mines the wells of forgiveness and passion. "—Signature Reads, "10 Overlooked Books of 2016"
"[Marrow Island] is weird and glorious and I loved it. Different from Glaciers, but still wonderful. 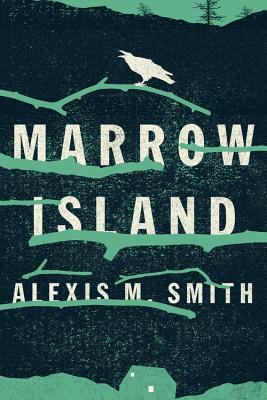 Marrow Island is about a journalist who returns to her home island to possibly report on a sketchy environmental colony that has set up residence on the island, and to visit her childhood best friend, who is one of the colony’s residents. "—BookRiot, "Our Most Anticipated Reads of 2016"
"A wonderfully bewitching story, Alexis M. Smith's second book is as amazing as her first. This novel weaves together her skill with character and a delicious thread of intrigue and mystery. The voice is simply beautiful, and I can't wait to reread this one. "—Powell's Midyear Roundup, "The Best Books of 2016 So Far"